To a great extend, technology defines us as humans. It embodies the constant drive to create new and better things that make life easier and solve our problems effectively. The .technology domain was created specifically for those of us who research, manufacture, or sell technology, and who inform people about it. 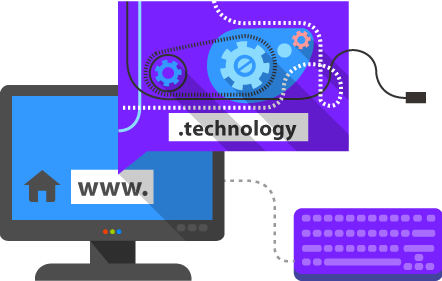 The choice of a .technology domain proves the advanced appearance of your business, even before visitors load your page.